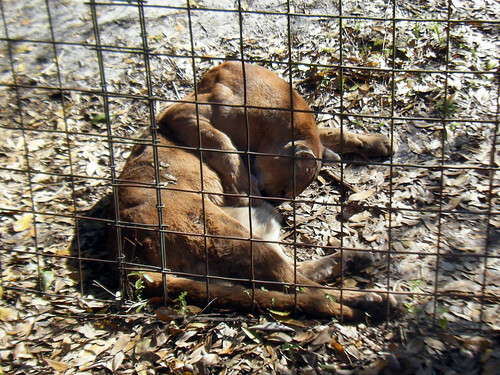 Last week when we were in Florida, we went on a tour of Big Cat Rescue. It was a super gorgeous day, and of course, the cats were amazing to watch. One of our favourites, unsurprisingly, were the cougars. One of the cougars, Orion was lying in the sunshine, just grooming himself. It really made us miss our Abys back home.